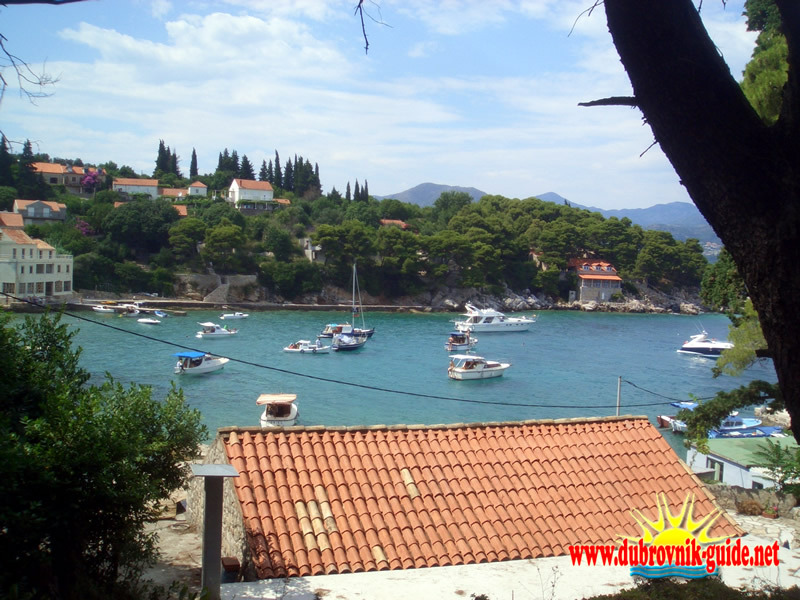 Koločep Island (or Kalamota as the locals call it) is an evergreen island full of pine and carob trees entangled with citrus gardens and small olive groves. Kalamota feels like a small park, an intriguing resort beside the beach. Kalamota has a surface of only 2,4 square kilometres (593 acres; roughly 1 square mile) and is located 3 Nautical Miles northwest of Dubrovnik port of Gruz. It takes about 25 minutes to reach Kalamota by ferry. The island is made up of limestone and dolomite rock but at each end there is a natural, miraculous, sandy beach. There are a total of 165 people living on Kalamota according the 2011 census. 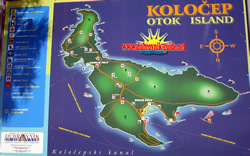 Donje Celo is a bigger settlement and provides for vacation rentals in view of a Kolocep hotel. Also it is possible to rent a room or apartment throughout the island as some of the locals are renting accommodation units in their own private houses. Kalamota experienced it's golden age in the 15th century. In that time many sacral buildings and summer manors were built on the island. Later in the 16th century after an attack by the Turkish fleet, Kalamota was fortified with defence towers. Today on Kalamota, apart from enjoying the beaches, swimming, and getting a sun tan, you can hike across the island, go sightseeing, or ride a bicycle, all in the wonderful ambience of the green Kolocep. A parish church, The Assumption of Mary, located in Donje Čelo, built in 13th century is waiting for your visit. On the way to Gornje Čelo you can also visit the Church of St. Anthony from the 15th century and admire one of the greatest work of Dubrovnik school of painting, an altar-piece, done by the Ivan Ugrinović from the 15th. century. In Gornje Čelo, a pre-Romanesque church of St. Anthony of Padova, built in 11th/12th century waits for your visit as do some other pre-Romanesque churches. However, many of the fabulous buildings of the past are now only ruins. To visit Kalamota with a tour we offer a boat cruise that visits the three main islands in the Elaphite archipelago. We are tourist guides, ask us for a tour ! For that special adventure we also offer a private boat tour where you tour the Dubrovnik coast and islands in a fast boat with a skipper. 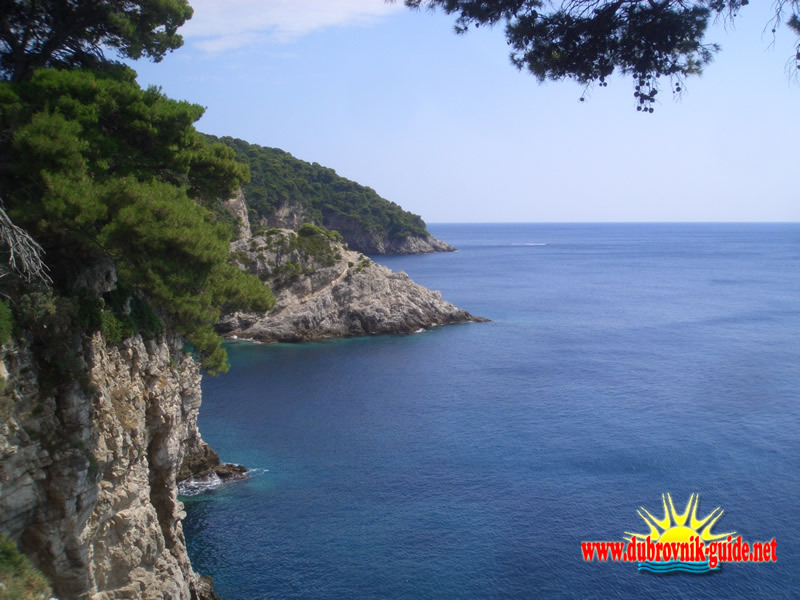 You command the skipper who will show you the best spots on Dubrovnik Riviera. Another option is a kayaking trip that will take you to the islands.